Show Recap – Wooden Bow Ties – The New Fashion Trend? and GPS Tracking for Business Owners! 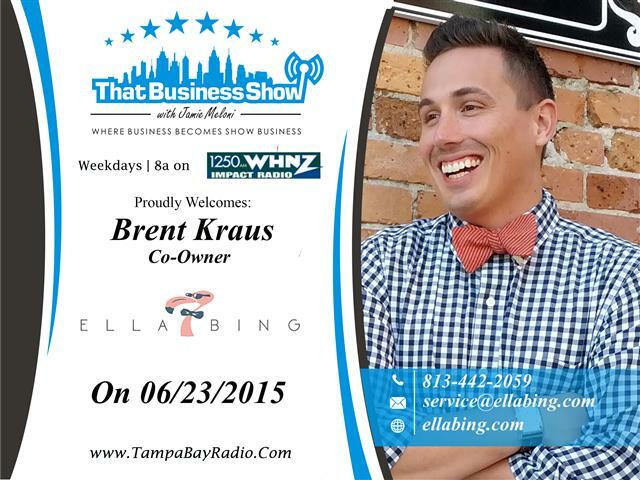 #ThatBusinessShow – daily at 8am on 1250WHNZ and please connect with me on Facebook at http://www.facebook.com/thatbusinessshow. All shows available On Demand on SoundClound, YouTube and http://www.tampabayradio.com! Brent Kraus, Co-Owner of Ella Bing, opened up today’s show. Ella Bing is a clothing line geared towards male fashion trends and was inspired by the loss of Brent’s brother Matthew Kraus. Their primary product, the wooden bow tie, was also inspired by Matthew because of his love for the bow tie. While cumbersome to some, the wooden bow tie has taken off primarily due to the exposure they gave the product on InstaGram. Coming in a variety of designs and colors, this product ranges in price from $65.00 to $110.00 at http://www.ellabing.com and you will be leading a new fashion trend if you pick one of these up. Other products include bow ties for dogs, shaving products, lapel pines and pocket squares, some of which will be wooden as well, so Ella Bing is leading a new fashion trend in male clothing sporting the use of wood in some of their products, just another revolutionary entrepreneur in the Tampa Bay area. Brent also touched on his 5 Simple Rules in Becoming a Supremely Confident Gentlemen and we share some good laughs in this segment surrounding that, which was an article written that gave him and Ella Bing some additional attention and exposure. 10% of every sale goes to the Crisis Center of Tampa Bay and learn more at http://www.ellabing.com! 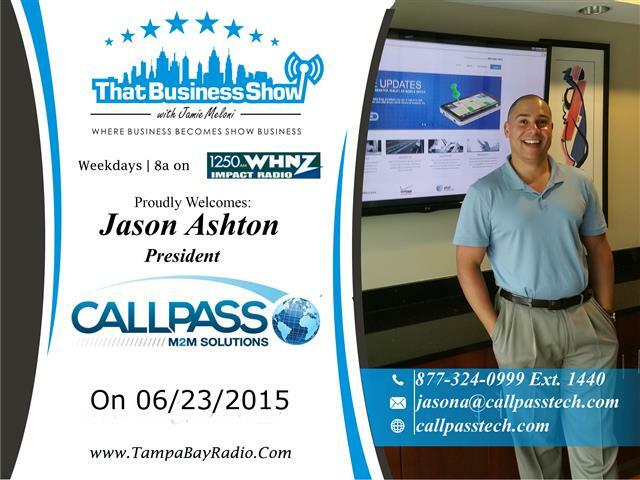 My 2nd guest on the show was Jason Ashton, President of Call Pass Tech and M2M Solutions. The company which launched in 2007 to provide GPS tracking devices to lenders in the sub-prime auto industry has grown to now having a subsidiary business (M2M Solutions) and has expanded their product line to include GPS tracking for fleets, assets, trailers, containers and more! These devices come with a platform for the business owner to be able to track their asset which gives them the ability to audit employee routes and meetings but also to provide efficiencies as well such as in reducing gas costs by analyzing routes. The company has grown to a staff of 45 people and they have relationships with manufacturers providing the equipment and with AT&T and Verizon in assisting them in implementing the technology. Jason and I also touched on the power sources for the GPS devices and he elaborates on a new solar power technology now being used to give the devices longer field life through solar power. This technology is a must have for any business owner with a fleet of trucks or who wants to have a better grasp on tracking their assets/inventory to minimize losses. Reach out to Jason at 877-324-0999 X 1440 or email at Jason@callpasstech.com for a free consultation on how they can assist you and your business and learn more at http://www.callpasstech.com and http://www.cpm2m.com!